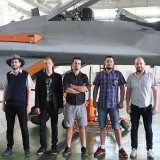 Home » Archive by category "Adalbertus Miniatures"
Another success of Attack Squadron. 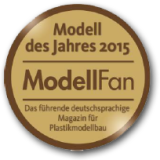 Model Grumman F8F-1 Bearcat in 1/72 scale has been awarded with medal Model of the Year 2015 by the German magazine Model Fan in the category of models produced in limited series. This is the second model from the offer of Arma Hobby awarded this prestigious medal.